Age is just a number… Isn’t IT? What a comforting reminder—the idea that we are who we are, irrespective of how many wrinkles or gray hairs we may obtain. Who doesn’t love a big kid? The type of person who clings to vitality and wonderment, even in the face of so-called adulthood. Some of the most quotable people are the ones who maintain the irreverence of a child, but none of those people can hold a torch to self-proclaimed child whisper Beverly Cleary. Beverly Atlee Bunn was born on April 12th, 1916 in McMinnville, Oregon. In the memoir, A Girl from Yamhill, she explains one of her earliest memories as being the day World War One ended… Today, she turns 103 years old. She is one of America’s pioneer children’s authors (without question); Cleary’s first book (Henry Huggins) was published in 1950 and her last book (Ramona’s World) in 1999—in all those years, she has gone on to sell over 90 million copies of her books. The stories of Beezus and Ramona, The Mouse and the Motorcycle (which she wrote because her son wanted to read about motorcycles), and Henry Huggins have become beloved and timeless classics. She has not only influenced the development of children’s literature but has also changed the lives of the children, adults and other authors (like Jeff Kinney) who grew up reading her stories—her didactic stories. Cleary writes with the intention of teaching, preparing children for the world. Her books are aimed towards an audience of the most impressionable of youths as she gives them all one big fat hug. The world has changed since Cleary began writing; however, her stories continue to resonate with audiences for one reason: children have more or less stayed the same. Before becoming an author, Cleary was a children’s librarian… and before that she was a child who didn’t learn how to read until the second grade. She has described the first time she ever really enjoyed reading as an accident. She had been flipping through a picture book and found herself, unintentionally, reading. 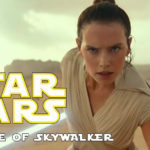 Books changed her as she began to understand their power although she always felt deprived of a certain aspect of relatability in children’s books. One day, when she did eventually occupy the aforementioned position of children’s librarian, a frustrated student asked her, “where are the books about kids like us?” This moment created award-winning children’s author Beverly Cleary and in turn characters like Henry Huggins and Ramona Quimby. Of her forty-one published books, fourteen are devoted to the characters of Henry Huggins, his friend Beezus, and her mischievous little sister Ramona. Initially, Ramona was in nursing school—Cleary wrote her until eventually, she was in the fourth grade. Over the course of those novels, Ramona encounters hilarious, relatable and often enlightening situations. Ramona questions the world and gets endearing answers, answers that are undeniably helpful. In Ramona’s World, the protagonist learns to see from her nemesis Susan’s point of view—a cornerstone of maturity. 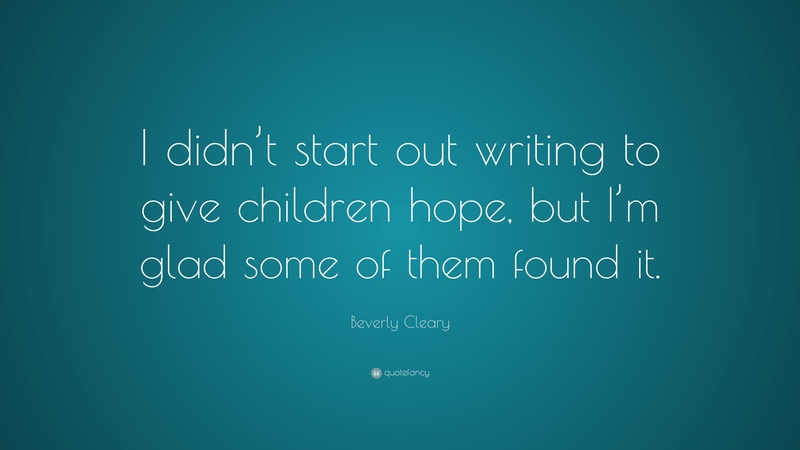 Beverly Cleary is undeniably wise. Wisdom is a result of pain—we teach others not to make our mistakes and then they make their own, which they inevitably advise others not to make. If you read Cleary’s memoir, you may find yourself drawing parallels between her upbringing and the characters in her books. The thing is, her upbringing won’t read as cheery or as endearing as her fiction. That’s the point. I believe Cleary, with all her talent, chose to focus on a younger demographic because she felt it was one that needed the most help. She showed them there’s a light at the end of the tunnel. Cleary’s mother once told her that, regardless of what you are writing about, “keep it funny. People always like to read something funny.” It is with this approach that Cleary has made the world a better place. What does one’s legacy consist of? Is it built by the things we leave behind—the people we affect? Is that effect influenced by our bodies of work? The relationships we form? Or perhaps our legacies are all lined up into a sea of dominoes, converging into fateful fallout. The most important domino is the initial one—the ones that follow and fall are influenced by the pioneer. Even when they cause others to fall, it’s still because of that initial domino. 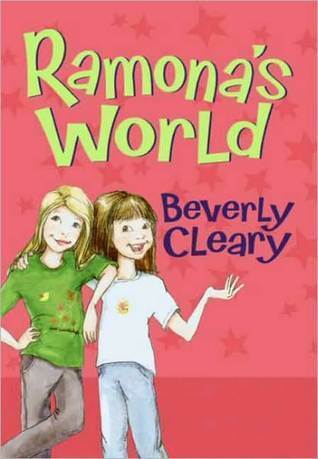 Not only can Beverly Cleary be considered an initial domino, but also most certainly a pioneer. Featured Image Via Today Show.